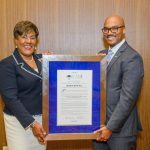 $50 million commitment from Kresge puts education at the center of community revitalization efforts in the Livernois-McNichols district; largest-ever philanthropic investment into a single Detroit neighborhood. 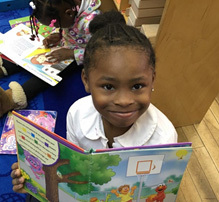 P-20 campus at Marygrove brings together exemplary early childhood, pre-K-12, post-secondary and graduate education in “cradle-to-career” continuum. One of few programs in the nation. 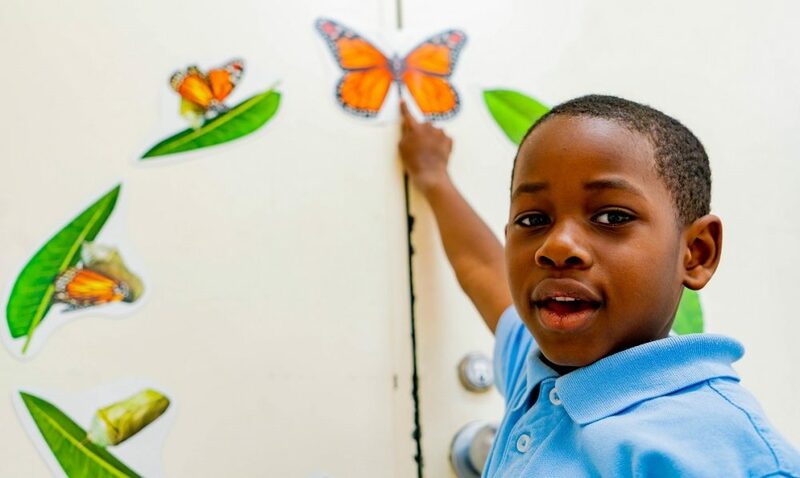 Partnership to serve roughly 1,000 Detroit children at full capacity in 2029; ninth grade begins 2019, kindergarten and pre-K in 2020. New DPSCD K-12 program is in collaboration with the U-M School of Education; innovative approach to preparing newly certified teachers modeled on residency for medical doctors. New early childhood center to be built on campus, to open 2020 (also to house kindergarten). 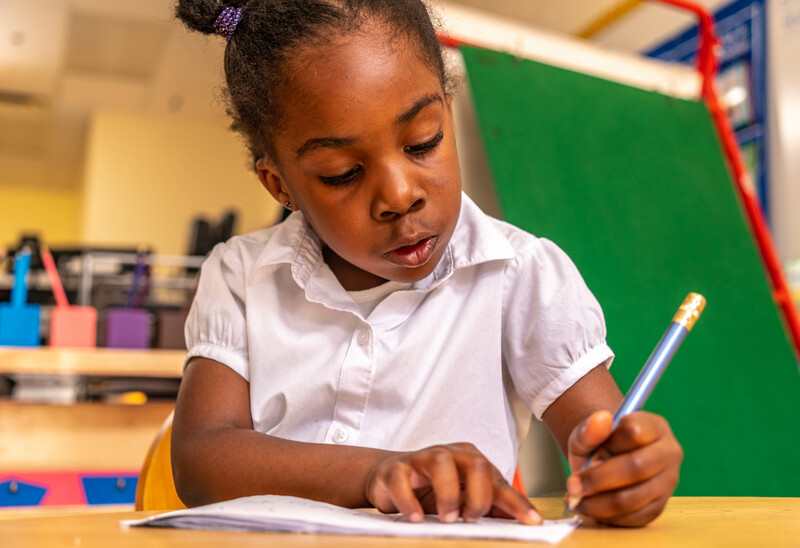 Starfish, DPSCD and the U-M SOE will co-design the early childhood education curriculum, catered to the whole-child and family servicing to children ages birth through 5. Former Bates Academy and portions of Liberal Arts Building to be renovated for student and faculty use. Early childhood center to use “hub and spoke” model to support existing early childhood facilities in area. 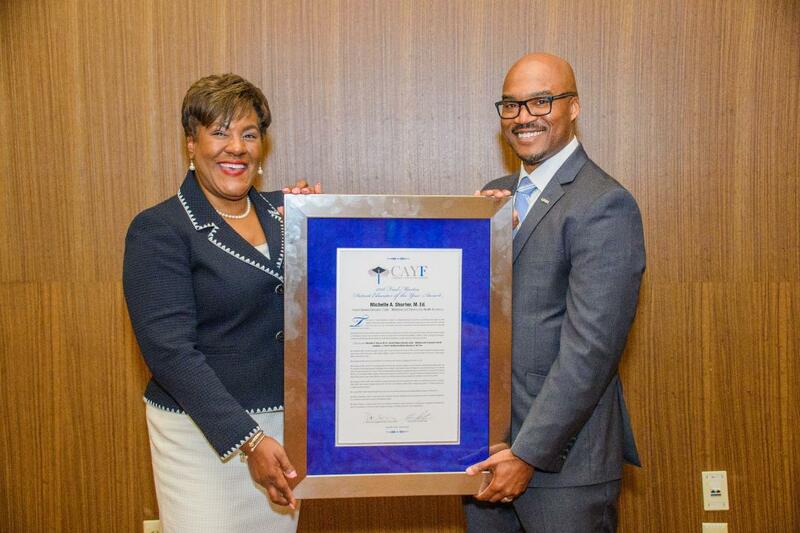 P-20 partnership builds on 90-year legacy of Marygrove College. DETROIT – Organizations gathered at the Marygrove College campus today to announce a new cradle-to-career educational partnership including a state-of-the-art early childhood education center, a new K-12 school and the introduction of an innovative teacher education training modeled after hospital residency programs. 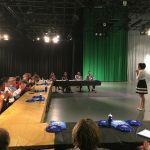 Vitti added the teacher-training component has the potential to attract college students to the teaching profession, retain teachers who otherwise leave the profession in large numbers and improve district enrollment. 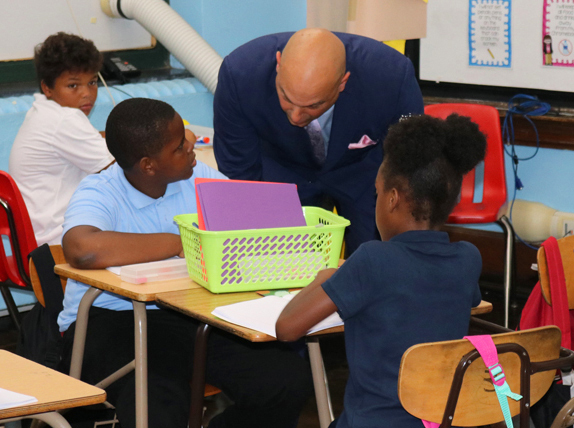 DPSCD Superintendent Nikolai Vitti and Board Members began the first day of school by visiting teachers and students, reinforcing that when students rise, we all rise. 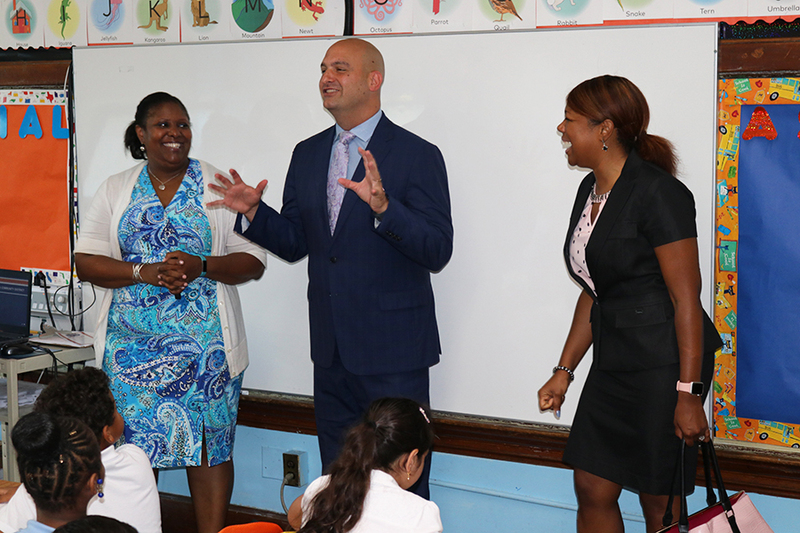 Dr. Vitti and Board Members greeted teachers and staff, visited classrooms, witnessed teaching and learning, encouraged the importance of high achievement and good attendance every day. 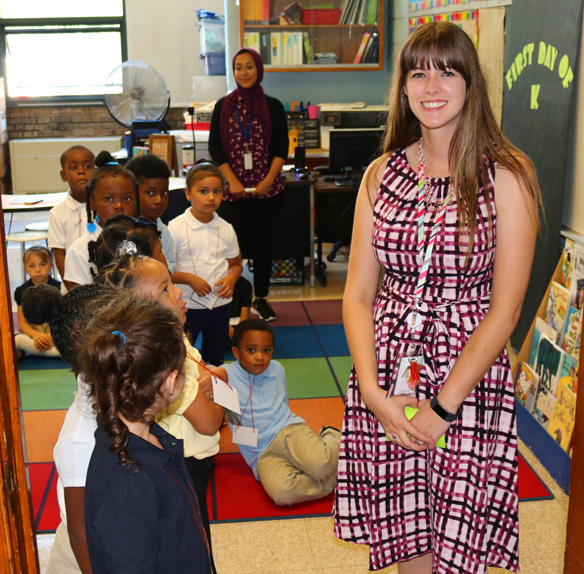 As new art and music classrooms began, as students settled in and parents signed up for volunteering, it was clear to see everyone was excited for the new school year. Join us in our mission to empower every student, in every community, every day, to build a stronger Detroit. Tell us how you will help a student rise this school year on Facebook, Twitter or Instagram today! Detroit Public Schools Community District (DPSCD), announces its partnership with 14 organizations to begin phase 1 of its Cultural Passport initiative, providing children the experience of arts and music curriculum. The experiences will increase each individual students’ self-expression, visual thinking, observational, problem solving and analytical skills. 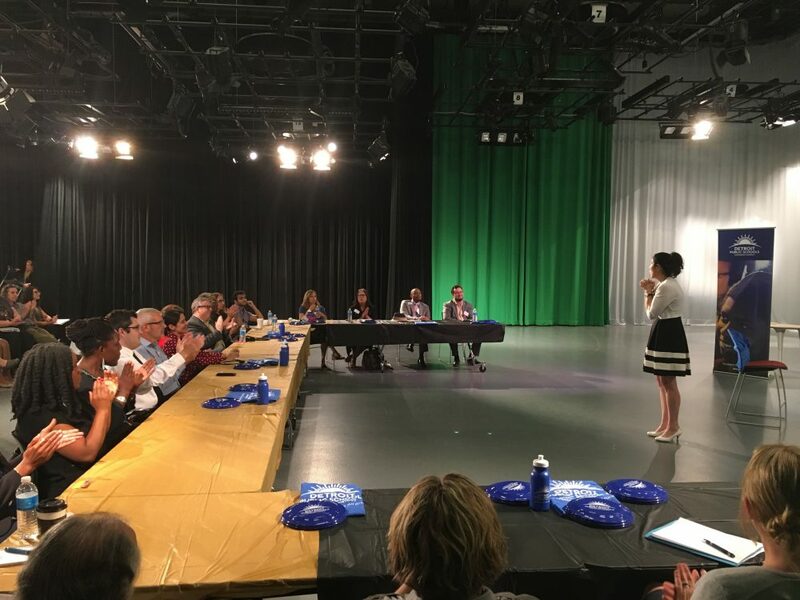 On August 16, Deputy Superintendent of Schools Iranetta Wright and Deputy Superintendent Alycia Meriweather met with several music and art organizations at the Detroit School of Arts to discuss the initiative and how the partners can work with DPSCD to create art and music programs in every DPSCD school. 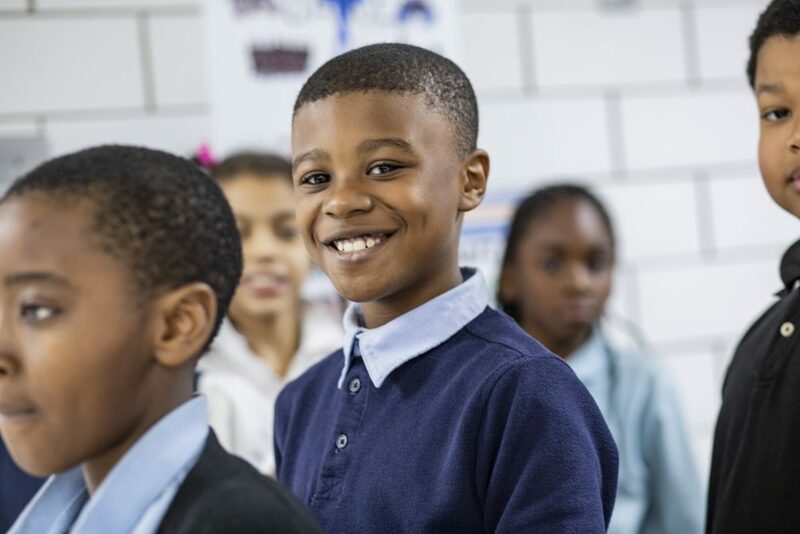 In February 2018, students in grades 3, 4 and 5 started stamping their “passports” at cultural landmarks throughout metro Detroit through the District’s pilot series, which featured a few of the first cohort of organizations to help DPSCD launch the initiative – The Detroit Institute of Arts, Detroit Symphony Orchestra and The Michigan Opera Theatre. 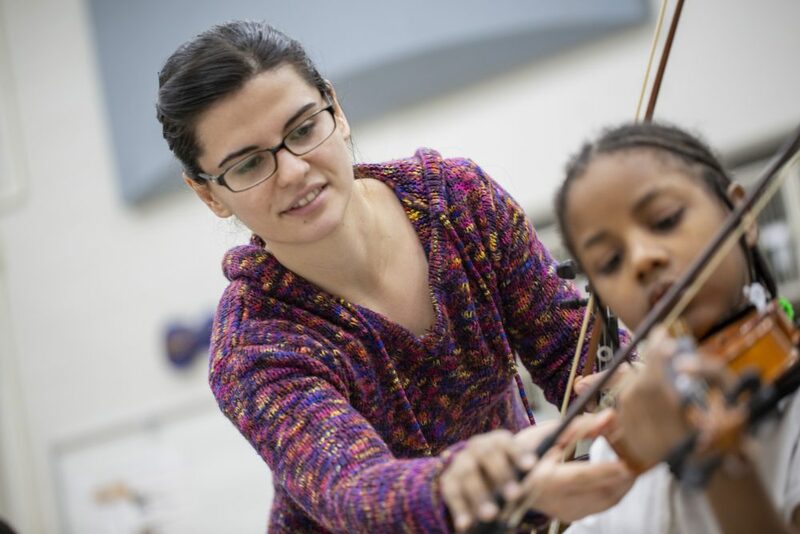 After reaching more than 1,500 students during the pilot, the District is forging ahead to achieve its mission of restoring equity and access to art and music programs within DPSCD. 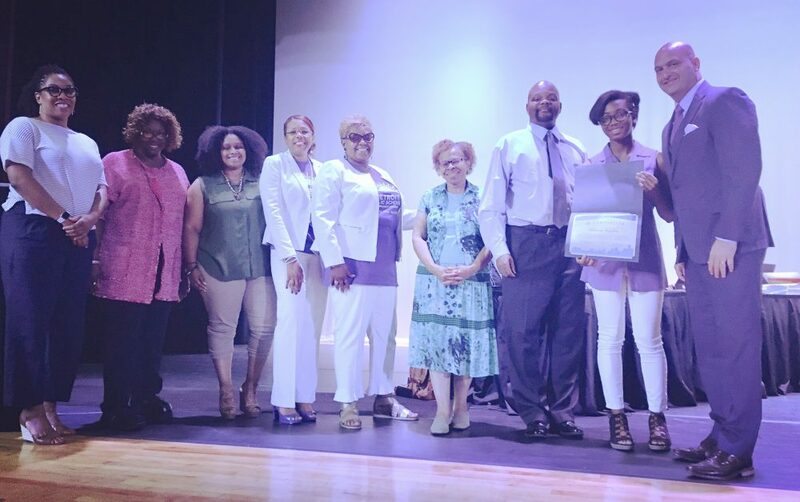 Ms. Burke earned $2 million in scholarships and grants from 20 colleges, graduating high school with a 4.2 weighted GPA, ultimately accepting a full-scholarship to the University of Michigan – Ann Arbor where she plans to major in Women’s and Gender Studies. Her accomplishments were credited from a strong community, including all her teachers, counselors and her principal, Dr. Deborah Jenkins. 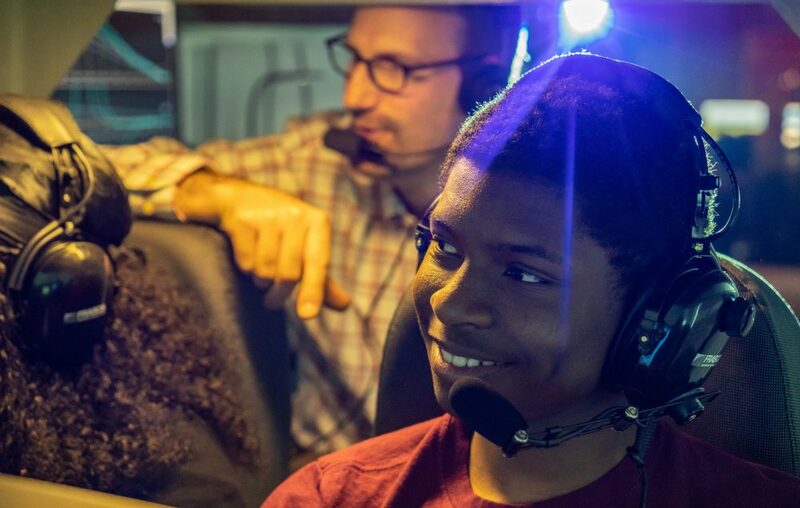 During her high school career, Ms. Burke remained active in a variety of extra-curricular activities and attended a prestigious summer journalism program at Princeton University. Congratulations, Ms. Burke on your achievements! 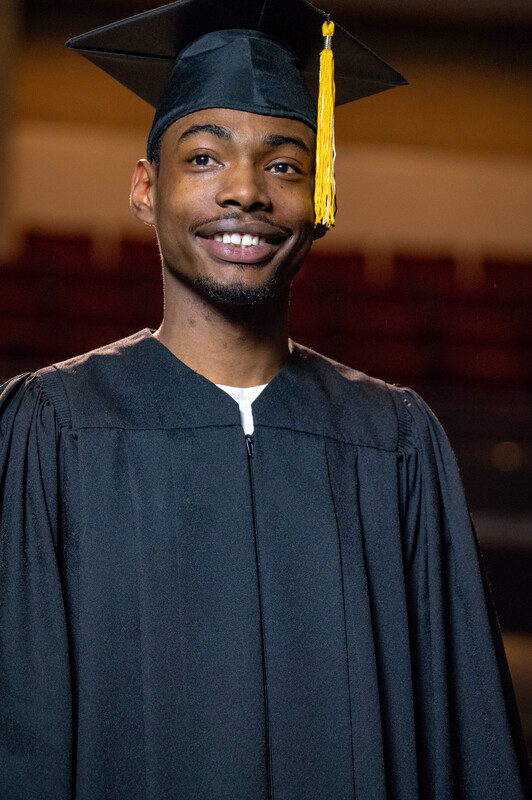 Devonte King, a 2010 graduate of Detroit School of Arts (DSA), who is featured in DPSCD’s new branding commercial, reflects on his high school experience, fondly noting his mentors who influenced him during times of adversity. 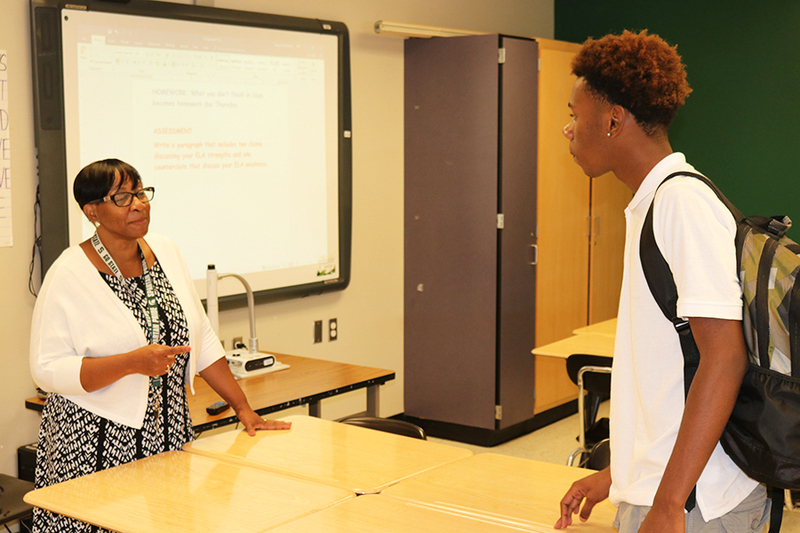 As a Morgan State University graduate and current DSA volunteer, Devonte remembers when DSA Founder and former Principal Dr. Denise Davis-Cotton helped him through the passing of his mother during his sophomore year. Devonte points out that when his mom passed away it became his inspiration for helping others. 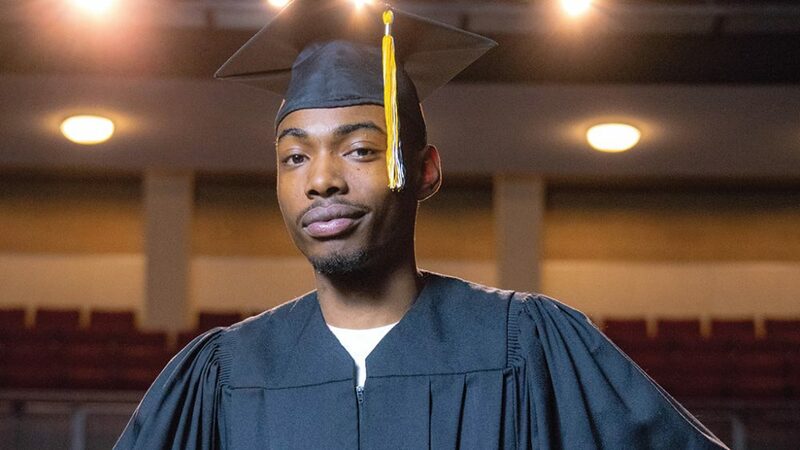 It’s no surprise that Devonte actively sought out opportunities to give back to his community after he graduated college and moved back to Detroit. 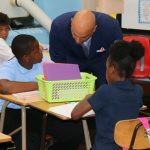 DETROIT – June 21, 2018 – Detroit Public Schools Community District (DPSCD) Superintendent Dr. Nikolai Vitti announced today the District’s new branding campaign, which includes a new logo and tagline, “Students rise. 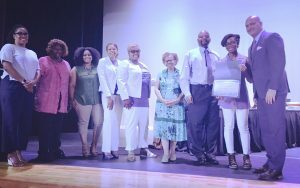 We all rise.” Ending the school year on a high note, students, families and community members joined Dr. Vitti and members of the Board at Nolan Elementary-Middle School for the official announcement and last day of school celebration. The District will use #DPSCDStudentsRise to share on social media channels. More than 800 community members, teachers, principals, and families provided their vision of what DPSCD represents as a new brand was considered. It was evident in the feedback that there is still passion and hope that the school district will rebuild itself to restore the pride it had. In addition to the logo and tagline, DPSCD unveiled its highly anticipated marketing commercial, featuring its students, teachers, principals, community members, schools, and Cass Tech alumnus/Rapper Big Sean. This rebrand is one of many initiatives Dr. Vitti rolled out under a newly elected board. 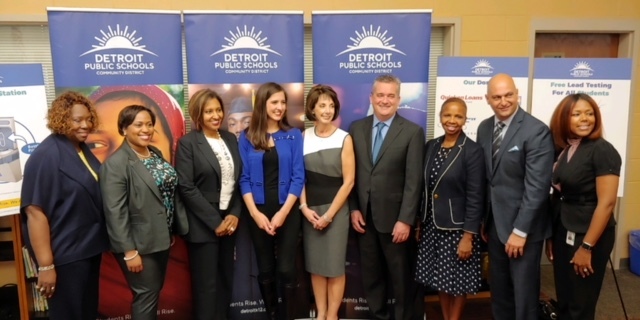 DPSCD thanks its partners who supported the rebranding project: BLVD Content and Real Integrated, marketing and strategy firms; Detroit Public Schools Foundation, which awarded the District a $20,000 grant; and iHeart Media/WJLB. 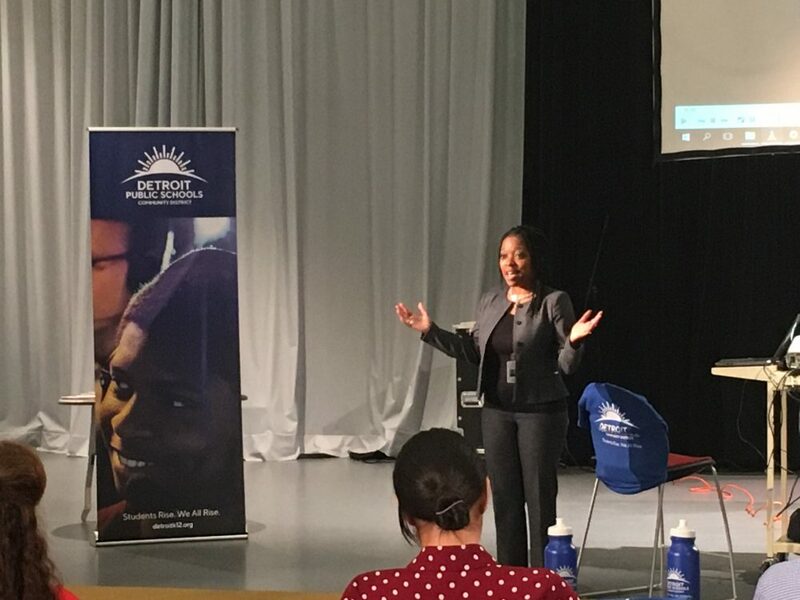 The District will continue to celebrate its transformative brand through events and promotions this summer and throughout the 2018-2019 school year. To learn more about DPSCD and enrollment opportunities, visit detroitk12.org. Stay up-to-date on events and news by liking us on Facebook, or follow us on Twitter and Instagram. Congratulations are in order for Renaissance Senior Kahlid Ali, who recently received the Wayne State University Med-Direct (Wayne M.D.) scholarship. Wayne M.D. is a unique program that guarantees admission to Wayne State’s School of Medicine and Irvin D. Reid Honors College for 10 students each year. The program emphasizes mentoring and research by giving students the opportunity to become part of the School of Medicine community during their undergraduate studies, leading to M.D. or combined M.D. /Ph.D. degree programs at WSU. 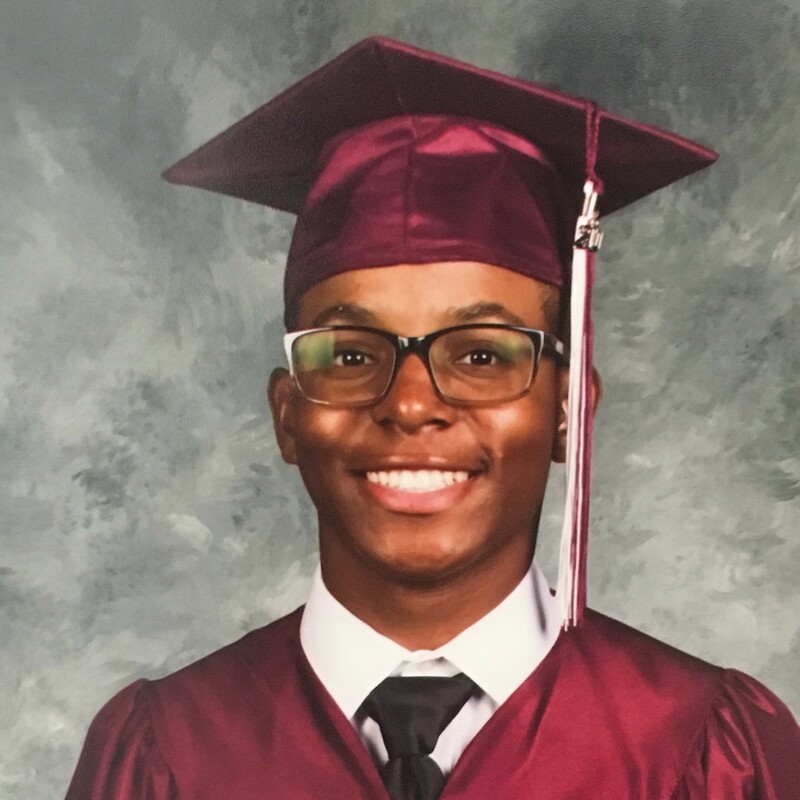 During his academic career at DPSCD, Kahlid has earned many awards and accolades which lead him to receiving the prestigious scholarship. Not only did Kahlid graduate in the top 3 percent of DPSCD seniors, but he was an active mentee in the Pathway to Excellence program at the Sigma Pi Phi Fraternity; he has traveled to Nicaragua with Buildon.org to help build schools in poverty stricken communities; and Kahlid served as the team captain for the Renaissance High School robotics team. 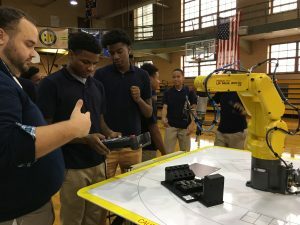 Detroit Public Schools Community District (DPSCD) and FANUC America, a leading supplier of robotics and factory automation, today unveil a new robotics training program to prepare Denby High School and Pershing High School students for careers and post-secondary studies in advanced manufacturing. The program will give students access to hands-on learning and certified training on eight FANUC robots installed at the schools. The first career-related program offered at Denby and Pershing high schools, the FANUC Certified Automation Training (CERT) program will give hands-on experience in robot operations to 11th and 12th grade students as an elective course. Students who complete the one-year program then qualify to take a national assessment examination to receive the FANUC Certified Robot Operator I Certification and compete for jobs in this industry sector. FANUC America’s educational outreach extends to all levels of instruction from early childhood education through the university level. FANUC’s CERT program has been implemented in 724 high schools across the country and 63 in Michigan. Students who complete this hands-on training program will be keenly positioned for high-demand, high-wage jobs – especially with the growing demand in Southeast Michigan where local employers are already expressing interest in partnering with DPSCD to offer students who are enrolled in the FANUC program internship opportunities. FANUC America is headquartered at 3900 W. Hamlin Road, Rochester Hills, MI 48309, and has facilities in: Atlanta; Boston; Charlotte; Chicago; Cincinnati; Cleveland; Houston; Los Angeles; Minneapolis; Montreal; Pine Brook, NJ; Pontiac, MI; San Francisco; Seattle; Toronto; Buenos Aires, Argentina; Sao Paulo, and Manaus, Brazil; and Aguascalientes, Monterrey, and Queretaro, Mexico. For more information, please call: 888-FANUC-US (888-326-8287) or visit our website: www.fanucamerica.com. 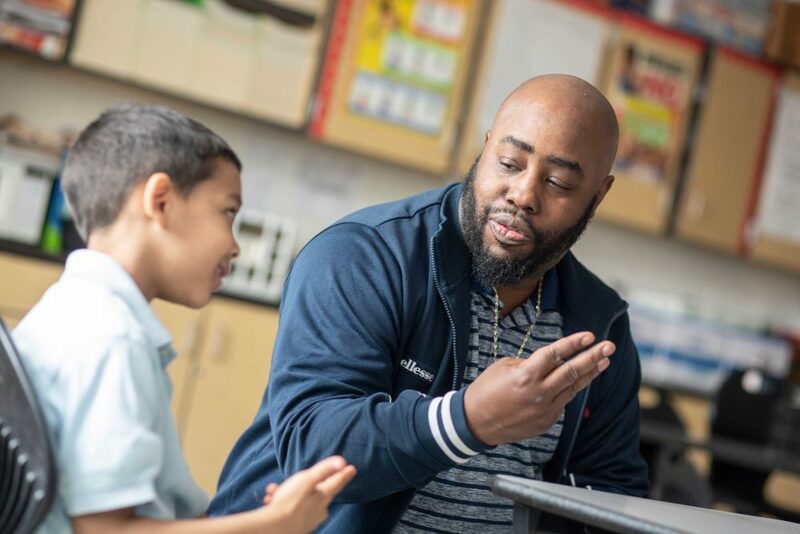 DPSCD recently launched The Parent Academy – a program that promotes parental involvement that supports student and family success. 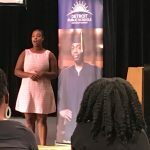 Expected to serve over 7,000 parents and caregivers, The Parent Academy offers FREE classes, training and workshops in schools, libraries, community centers and faith-based institutions across Detroit. 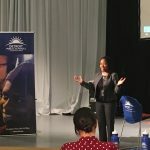 The mission of The Parent Academy is to provide the necessary tools and skills to build capacity and confidence in parents in order to support students academically, socially and emotionally. All Parent Academy courses are free of charge and designed for parents, caregivers and community members. Students are welcome to attend along with their families if appropriate. Dates, times and locations are accurate at time of publication; courses listed in this guide are subject to change. 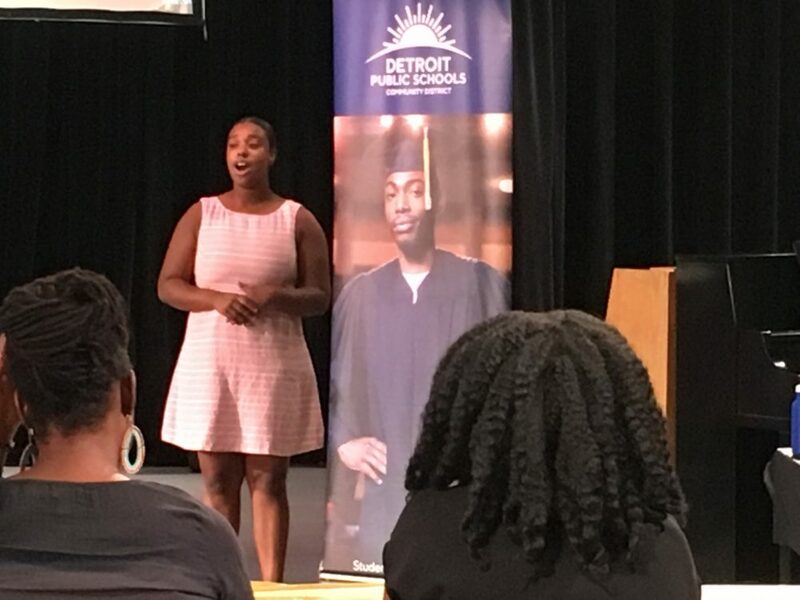 Detroit Public Schools Community District invites prospective parents to tour several schools this fall. We will offer a series of five lunchtime tours in four neighborhoods across the city. Tour schools in Midtown, Greater Downtown, Northwest Detroit and Southwest Detroit. Learn about the exceptional programming and enriching activities available to DPSCD students. Explore schools that offer a range of programs, including Montessori, art, music, dance, sports and much more. Lunch and free parking will be provided. Tours will leave from their designated locations at 11:30 a.m. and return by 1:30 p.m. Please arrive by 11:15 a.m.
Next year, funding will be used to buy robots for all 4 and 5th-grade classrooms. 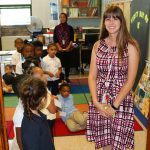 DPSCD will pilot one new kindergarten class focusing on Computer Science as a science in 2018. By 2021 all elementary classrooms will have embedded computer science curriculum in science. Universities in Michigan only graduated 6 new teachers prepared to teach computer science in 2016.